Greater Noida (22/1/2019) : A leopard that was rescued by the forest officials from Sudullpur village under Ecotech Greater Noida on 20th January was released to his natural habitat in Mohand range in Shivalik Forest division Under Saharanpur Forest area. It took more than an hour to five trained specialist to tranquillize the leopard and put him into the cage. Leopard was released around 6 am in the morning from the rescue vehicle taken into a dry river as seen in the video. 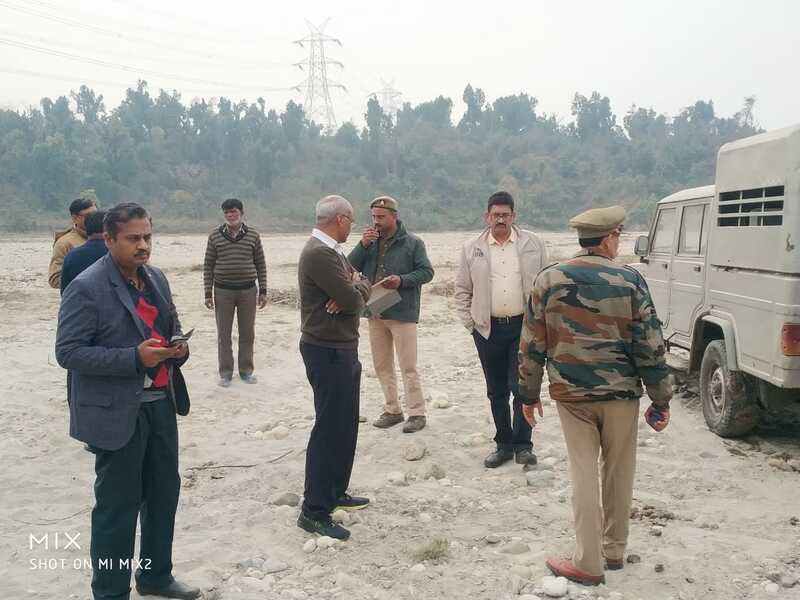 During this Chief Conservator of Forests (CCF), Conservator of Forests Meerut circle, District forest official of Gautam Budh Nagar, Saharanpur and Wildlife SOS remained present. Earlier also around a couple of months back probably the same 8-year-old leopard was seen under Kasna and Bishrak police station area. But that time forest officials denied that, and said that the similar looking animal was a fish cat which is about to extinct and very rare in sighting. P K Srivastav DFO Gautam Budh Nagar had confirmed the release of leopard to its natural habitat to Ten News. The nearest area where they are found from Greater Noida is Ganga Khadar region in Baghpat Hastinapur and Bulandshahr. Animals could have lost after following a prey little too far or It is seen that animals sometimes also hide in a heavy vehicle and travel to places, that is another possibility on how he reached to Greater Noida.